Disclaimer: We were sent a review copy of Red Dead Redemption 2 prior to the game’s official release. We are approximately 20 percent into the story at the time this article was published. 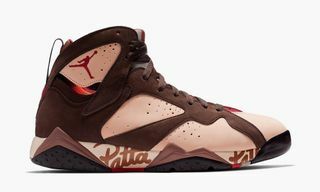 When we’re not busy covering the year’s biggest sneaker releases or unearthing sustainable fashion brands you’ll actually want to wear, we’re keeping up to speed on the latest and greatest video games. 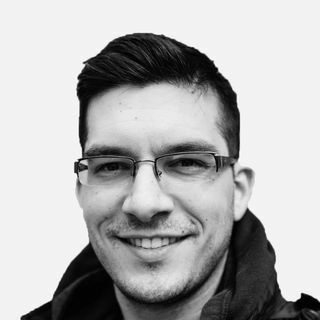 Once confined to a niche audience stereotyped as nerdy, video games have since eclipsed nearly every other form of mass media to become one of the leading voices in pop culture. 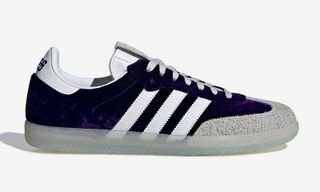 Like sneakers and style, the games you play now say just as much about you as the kicks you wear on your feet or the coat you rock in the winter. 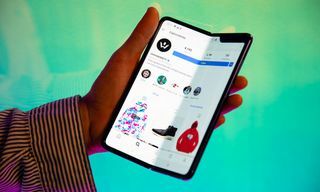 For many at Highsnobiety HQ, myself included, the release of Red Dead Redemption 2 is on par with the highly anticipated upcoming release of Palace x Ralph Lauren or the release of Supreme x Louis Vuitton before it. 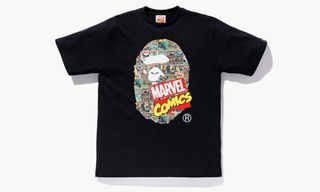 After all, it’s only every few years a collection comes along that changes what brands and consumers think of when they think of fashion. The same can be said of the video game world and with Red Dead Redemption 2, what we have on our hands is a game-changer. When the first Red Dead Redemption, the spiritual successor to Red Dead Revolver, released in 2010 critics agreed it solidified itself as one of the best games of that generation of consoles (Xbox 360 and PlayStation 3). Now, eight years later, a new generation of 4K consoles is hurling fans head-first into the most detailed and realistic digital worlds we’ve ever experienced. Red Dead Redemption won several Game of the Year awards when it was released so you can see why fans have been at the edge of their seats waiting for the sequel. On October 26, 2018, Rockstar Games delivered. From the moment Red Dead Redemption 2 launches you get the feeling you’re in for a spectacular experience. 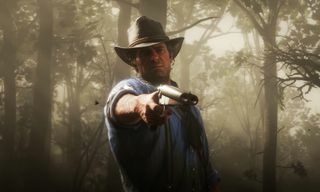 As two 12 gauge shells flip end-over-end into a double-barrel shotgun, teasing you with the amount of detail you’re about to indulge in, Rockstar manages to pull you in before you even “Press A to Start” thanks to what is one of the developers’ best minimal intros. If you don’t know Rockstar from the Red Dead series, you certainly know them for titles like Grand Theft Auto, Midnight Club, Max Payne, and L.A. Noire. 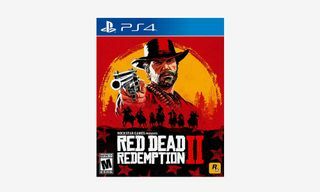 A collaboration between all Rockstar studios worldwide, Red Dead Redemption 2 is the company’s first chance to utilize the full power afforded by the latest generation of consoles (Xbox One X & PS4 Pro) to upgrade every single aspect of the game at the same time. Easily the studio’s most ambitious project yet, here are a few statistics that have taken the internet by storm: The game features around half a million lines of dialogue (more than twice that of Grand Theft Auto V); 10 times the amount of custom animation featured in GTA V with 300,000 individual animations; over 1,000 things to do and discover; and includes over 1,000 actor’s performances. Set in 1899 and told through the most expansive Rockstar world yet, Red Dead Redemption 2 takes place right as the end of the Wild West era has begun. You play as Arthur Morgan who’s forced to flee the town of Blackwater with his gang after a botched ferry heist. To fund living on the run, Arthur and his gang of outlaws must rob, steal, and fight their way across the American wilderness in order to survive. The game covers a huge cross section of 19th-century American landscapes that blend together snowbound mountain trails, grassy plains, alligator-filled swamplands, the rapidly modernizing Southeast, as well as the classic Southwest frontier. As Arthur, you’re a senior member and the lead enforcer of the Van der Linde gang, one of America’s most notorious outlaw gangs. Getting to know the gang of fully realized characters is a huge part of your experience as you play. Throughout your playthrough you form complex relationships with the community as you live alongside your compadres in the gang’s camp. The camp acts as a home base and allows you to seamlessly transition between all the different types of activities you can experience in RDR2, from robbing stage coaches or ferries to playing a relaxing game of poker. Furthermore, camp dialogue is contextual. If you engage someone directly after an argument, they’ll be agitated; if you talk to someone after losing to them in poker, they’ll mention their win; if you’re drunk, you’ll have a completely different set of interactions, etc. While the camp is great, you always have the option to leave and explore the world freely at any time. You can also cook, craft health cures and tonics for both yourself and your horse, and improve ammunition and equipment at the camp — all of which are crucial as you struggle to survive the relentless wilderness. When cooking and crafting, you use herbs and animal parts that you acquire from hunting and fishing as well as items you’ve purchased (or stolen) in towns to create your recipes. Certain shops will also offer special crafting services to upgrade your gear — but only if you’re been able to procure the required materials for the shopkeeper. In Red Dead Redemption 2, horses play a unique role as an essential form of transportation and personal companion. Different breeds have different personalities, and different horses react uniquely to terrain, water, fear, and stress as well as to interactions with Arthur. If you injure your horse badly enough it will die forever. You’re allowed to own one main horse to be ridden, and three additional horses that can be kept in stables. Horseback riding itself feels great, leaps and bounds beyond Red Dead Redemption. Rockstar has figured out how to convey the feeling of the powdered snow beneath your horses feet, similar to how racing games like Forza Horizon 4 simulate the feeling of the road. As personal companion, your horse’s saddle and saddlebags are utilized to carry additional weapons, fresh game or bounties, and other items. As you play you create a stronger bond with your horses by grooming, feeding, calming, and spending time riding them. 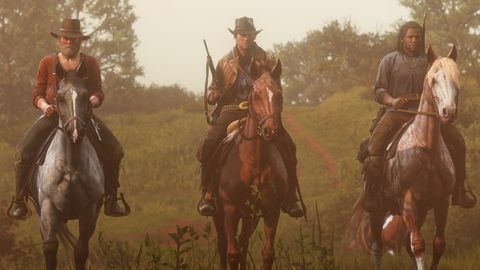 The more experience Arthur has with an individual horse, the more you’ll improve stats like speed and stamina, and unlock horse-riding skills like rearing, skid turns, and even proper dressage. Your horse can also be fully customized, including the stirrups, saddle blankets, bedrolls, horns, and more. The realism in the game extends to horseback riding as well thanks to an incredible physics system. If you ride your horse directly into a tree you’re not going to brush off of it or be forced around it by an invisible barrier, you’re going to smash right into and potentially kill yourself or your horse. Large boulders can be a real obstacles, and even a bison carcass that I rode into flipped me off my horse and almost broke its legs. The fall was so dramatic it knocked the pelt I was carrying right off the horse. I lost the mission because it took me too long to re-stow everything, but this is exactly the type of attention to detail that changes industries forever. Another mind-blowing example of the game’s physics is highlighted if you knock off an item from a shelf or table and you happen to try and grab it at the same time, instead of letting it hit the floor and bending down to pick it up Arthur will snag it right out of the air mid-fall — and it’s not like a glitch, it’s an exercise in AI hand-eye coordination that has yet to be seen in gaming. Additionally, the game features a fully integrated first-person mode, meaning you can experience the whole game first-person or you can seamlessly change back and forth between first- and third-person with the press of a button. The Elder Scrolls V: Skyrim fans will not be disappointed – the game looks better than ever in first-person. Red Dead Redemption 2 also uses new cinematic camera techniques to better show off the epic nature of the story. You can trigger the cinematic camera at any time, transforming your unique gaming experience into a 60+ hour movie that you’re the director of. As a bonus, it also makes your long horseback trips easier and more enjoyable by auto-following the trail — allowing you to switch between camera angles and take in the scenery. 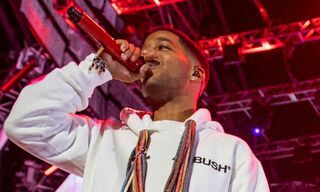 Weapons in the game are Rockstar’s best tools to further deepen the player’s connection to combat, while remaining fun and easy to use at all times. 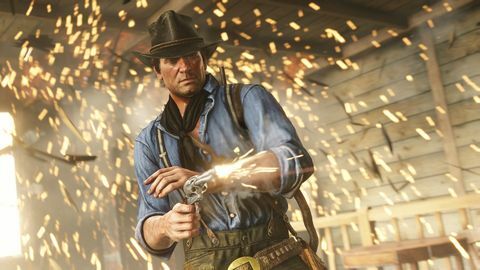 Weapon firing, reloading, and recoil have all been significantly upgraded compared to Red Dead Redemption and GTA V. There are over 50 unique usable weapons, a massive range of options for customization, and a wide selection of different ammunition types that improve accuracy, range or damage. The more a gun is used, the better it performs, but it will also start to degrade over time if not maintained. This means in between gun fights it’s crucial that you oil and clean your guns. The weapon customization — from engraving to leather wraps and much more — allows for even more layers of personalization, along with the ability to craft or purchase a range of ammunition. 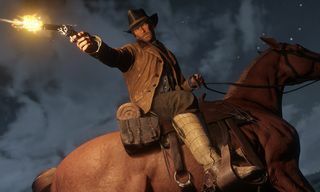 Arthur can carry two side arms and two rifles (or a rifle and a bow) along with a hunting knife, lasso and some throwable weapons, including the ability to dual-wield. 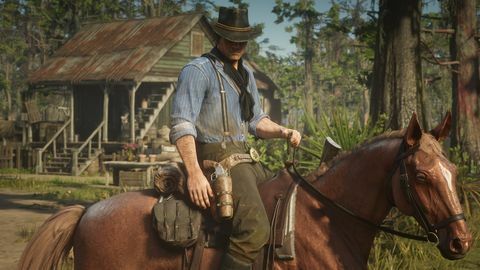 Your horse carries Arthur’s full inventory of weapons and you’re required to access them while riding or standing close to your horse. 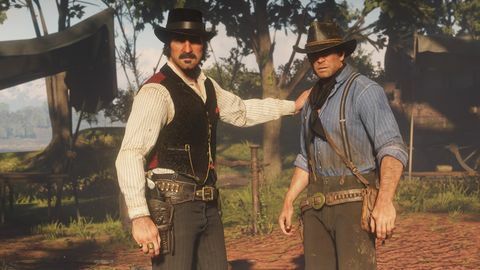 In Red Dead Redemption 2 weapons are never magically pulled from Arthur’s pocket or back, like in most other games. Every little detail counts. That’s especially true when shooting it out with outlaws or hunting for the camp. If you shoot an O’Driscoll (one of the rival gangs) and he falls in the snow, or if you hunt an animal and they collapse in mud, there’s going to be a perfect indentation of their body’s outline — like a snow angel but a little more morbid. The combat is very Max Payne-esque in the best ways possible: It’s brutal, realistic, intense, and while it makes you feel like the ultimate badass (thanks to features like Dead Eye) it reminds you quickly you’re not invincible. Thankfully, when you do die the checkpoints are fairly forgiving and make subsequent attempts all the more enjoyable. Hunting is literally a beast in itself. When hunting, you track your prey using Eagle Eye, a feature in the game that highlights any animal scent, tracks or droppings so you can continue to track an animal across distance. You can even use it to check the wind direction in order to get closer to prey without alerting them. The diverse habitats and climates are home to around 200 species of animals, birds and fish, all of which behave and respond to their environment in a unique way. Completing a successful hunt rewards you with animals parts, meat, and pelts, all of which are required to cook and/or craft various types of gear for Arthur and the camp. As you’d expect from a game that’s so detailed, all of the clothing and style found in Red Dead Redemption 2 gives you a real sense of Americana. The cowboy trends we’ve noticed over the last few seasons in fashion are sprinkled throughout each character’s unique wardrobe. This is all by design of course in Rockstar’s efforts to be as period-correct as possible. 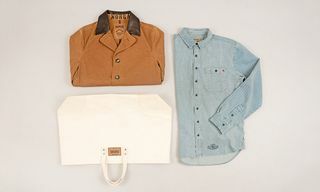 As a result, the characters become realistic depictions of the frontier and the kind of rural, rugged subcultures that have inspired designers like Raf Simons and Alex James at PLEASURES, as well as brands like Polo Ralph Lauren and visvim, both of whom are renowned for their references to Americana. When you progress through the story, the gang moves from colder regions to more humid parts of America. 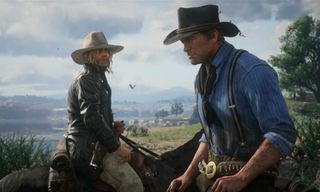 When it’s time for the gang to pack up and move the camp to a new region, you must change Arthur’s clothing based on what the conditions require. 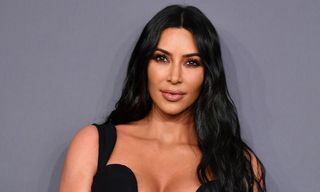 For example, if you’re wearing winter clothing in a tropical climate it will cause your health to drain faster because you’ll overheat more quickly. Again, it’s all about the details. 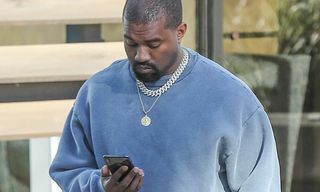 In order to ensure each character is dressed appropriately at all times, every member of the gang has several outfits they wear over the course of the game. This is Rockstar’s way of maintaining each character’s individual style while keeping them immediately recognizable. Thanks to an incredibly deep and robust clothing customization system, most things in Arthur’s wardrobe can be layered, mixed and matched. There’s also a range of modification options like choosing whether to wear your boots over your trousers or tucked in, sleeves rolled up or down, etc. 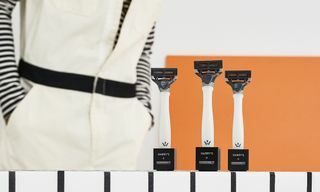 Furthermore, even Arthur’s hair and beard grows the longer you play so you have to go to the barber to get it trimmed if you want to stay stylish. Rockstar has managed to introduce GTA V-level clothing customization to the Wild West. To top it off, the costume design looks absolutely stunning in first-person playing in 4K — specifically Dutch’s black winter coat. 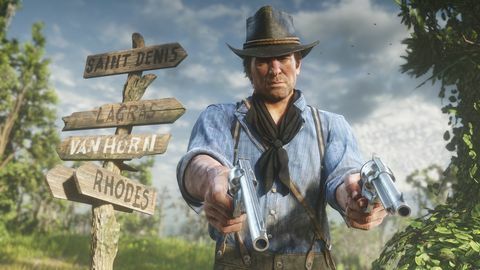 Having the ability to switch between both perspectives really makes you want to play in first-person so you don’t miss the details, but then switch back quickly to third-person so you don’t miss what’s going on around Arthur and the environment. 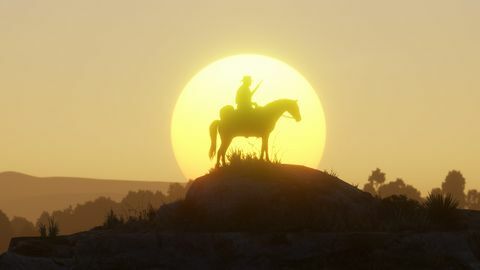 Having played through about 20% of the game’s story, I can definitely say Red Dead Redemption 2 delivers on all the promises Rockstar has made and will easily meet gamers’ expectations worldwide. The first-person mode is better than fans could have dreamed of, and the physics system in the game is absolutely mind-blowing. Thanks to the 300,000 animations, the game is probably the most realistic video game of all time – and arguably the best video game ever. Looting is more enjoyable than ever before because there are animations for every item picked up, every body turned over, and every animal skinned. Even cleaning your guns is enjoyable because how detailed it is. Campfires, cooking, and crafting are all a joy to do, especially since the variety of combinations are nearly endless. In the middle of the chaos of my first gun fight Arthur’s hat had fallen off. It wasn’t until I went to mount my horse to head back to camp that I noticed I left it behind. Suddenly it occurred to me if I wanted to keep it I needed to run back and pick it up off the ground. That kind of immersion and detail is what gamers are looking for in today’s market and one of the key ingredients in what makes Red Dead Redemption 2 a landmark moment that will change gaming forever. Online multiplayer is unfortunately not available yet and therefore is not part of this review. For more on Red Dead Redemption 2 be sure to keep an eye out for an in-depth story surrounding the game’s clothing, styling, and costume design. 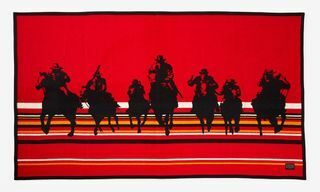 If you’re splurging on all things Red Dead at the moment, make sure you try to cop the “Outlaw Essentials” Pendleton blanket before it sells out!